As the temperature on the thermometer drops, the winter activities for preschoolers begin to appear in our thematic lesson plans. 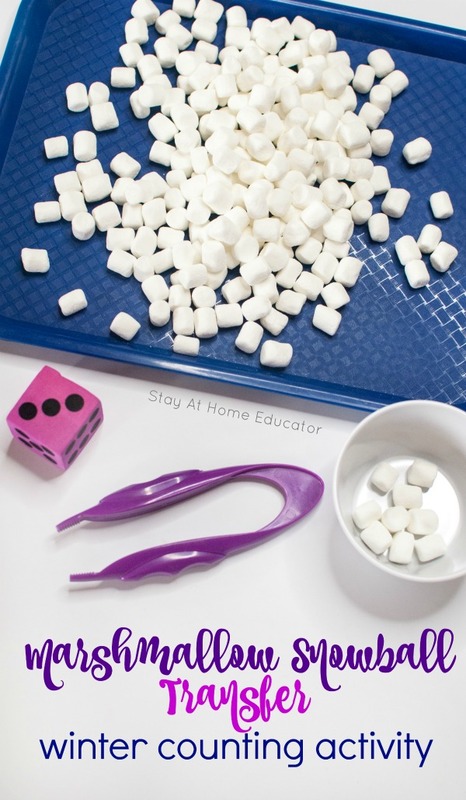 This marshmallow snowball transfer activity works on fine motor skills, but is also just one of six winter counting activities for preschoolers. When it comes to teaching preschool, I feel like winter lesson planning is like fall lesson planning. I always come back from Christmas break feeling all rejuvenated and gung-ho for lesson planning. 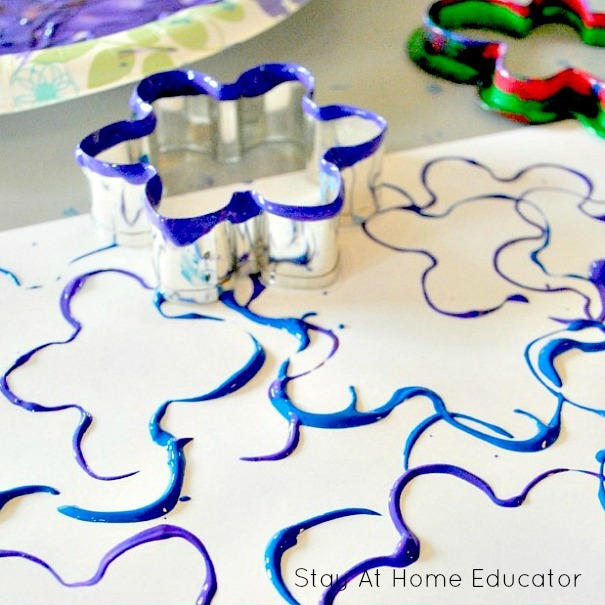 I typically have spent the break scouring Pinterest for inspiration for new and creative winter activities for preschoolers to add to my printable winter theme lesson plans. And I have to admit, there is something about looking at my lesson plans and seeing nothing but light blues, whites, and creams when I think of all the activities. 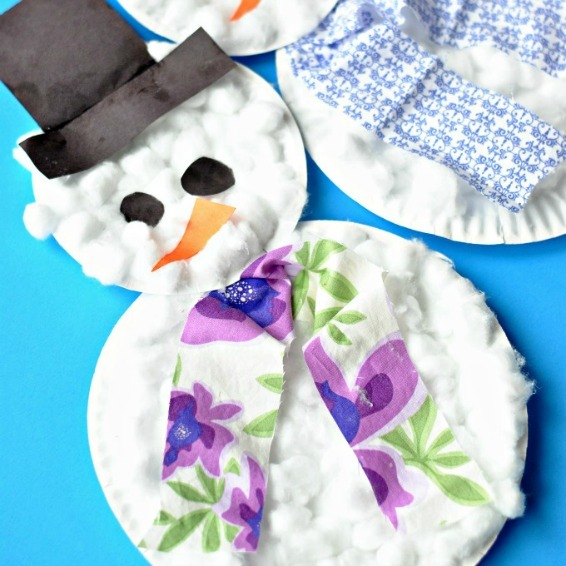 You can see a round-up of my favorite snow activities for preschoolers here. 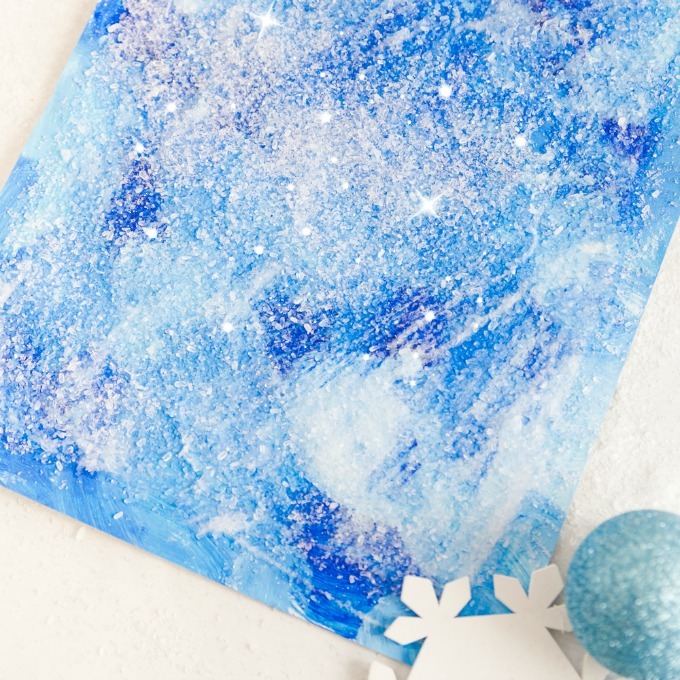 Now, my all-time favorite activity to add to my winter theme lesson plans are these beautiful, sparkly winter paintings. (They are also in hues of blues and whites). They make lovely gifts and the sparkle do not come from glitter! But my lesson plans also need some winter counting activities. Counting is such an important skill for preschoolers! 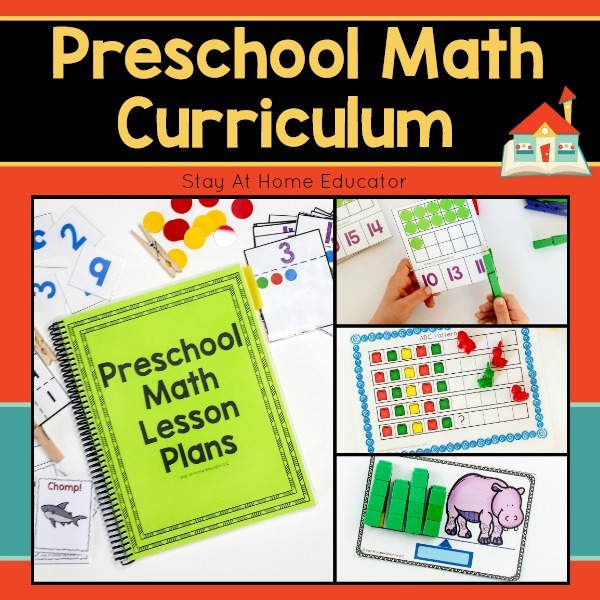 One of the best things you can do as a preschool teacher or parent is to help your preschooler learn to count. We practice counting skills all year long because it helps so much when preschoolers are ready to learn addition. 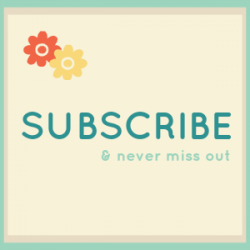 You can see my counting lesson plans here. 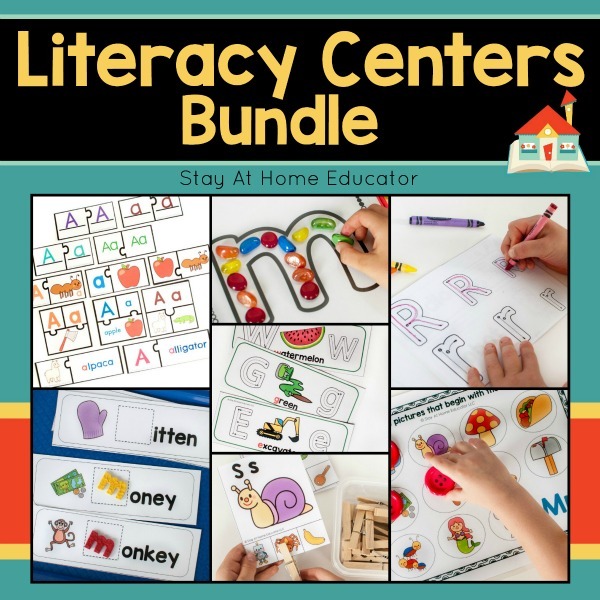 They include twelve weeks of written lesson plans as well as six printable preschool counting centers. They are just the right stepping stone for my addition and subtraction lesson plans. 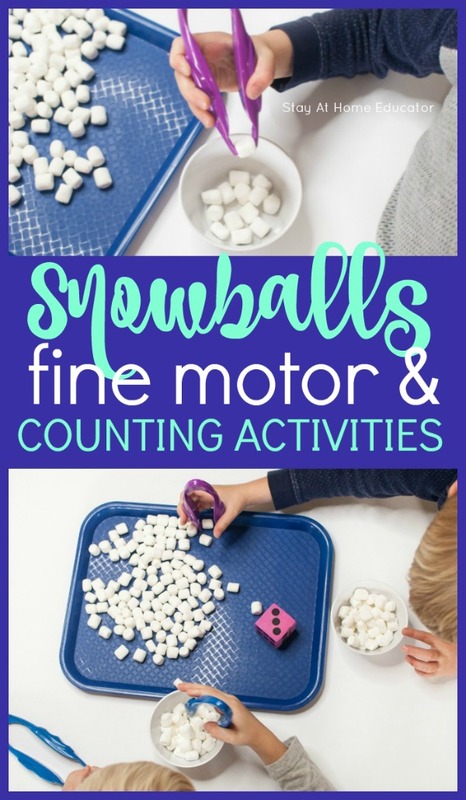 But these winter counting activities are such a fun way to enjoy teaching counting to preschoolers, and since we’re talking marshmallow snowballs here, preschoolers really, really love these counting activities, too! 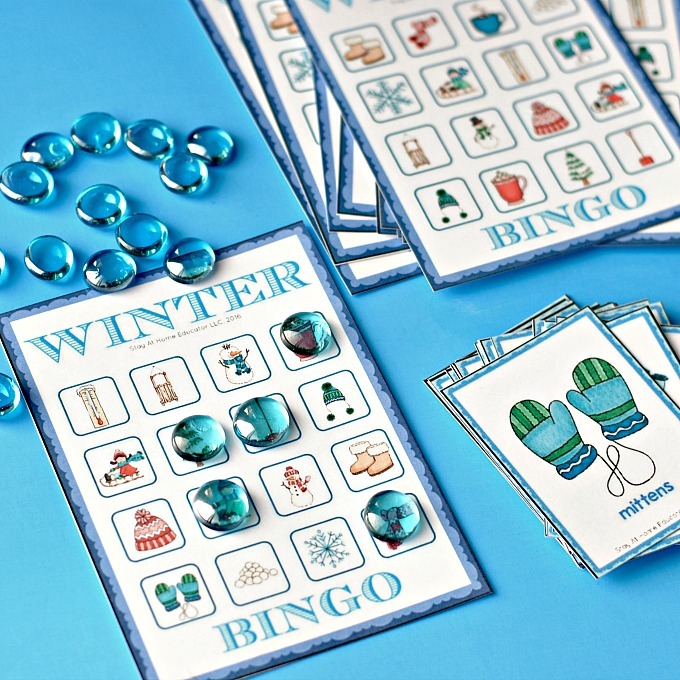 You can keep these counting activities in your winter preschool theme or add them to your arctic theme lesson plans. Go ahead, purchase a couple of bags of mini marshmallows. 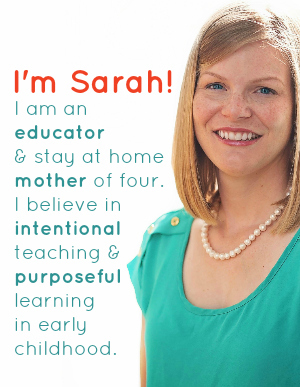 Your preschoolers will thank you. You only need a few materials for all these counting activities. 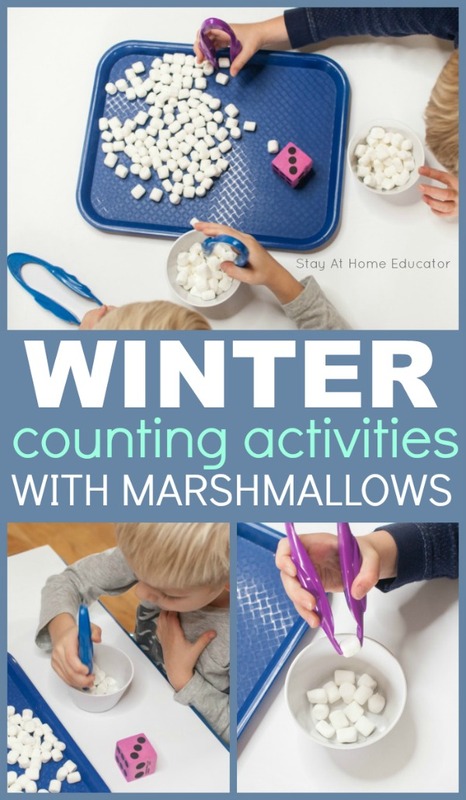 I’ll feature one activity in this post and then under that activity I’ll share five ways to modify the counting activities so you can find just the right winter counting activities to fit the learning needs of all your preschoolers. 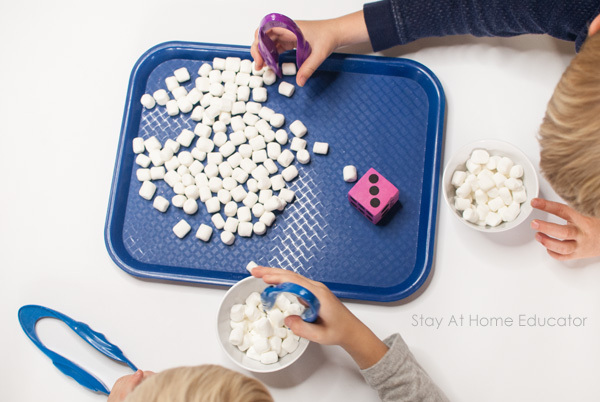 Place a handful (a half a cup or so…handfuls are unsanitary) of marshmallows in small bowl. Set it on a tray with a die and a set of mini-tongs or tweezers. 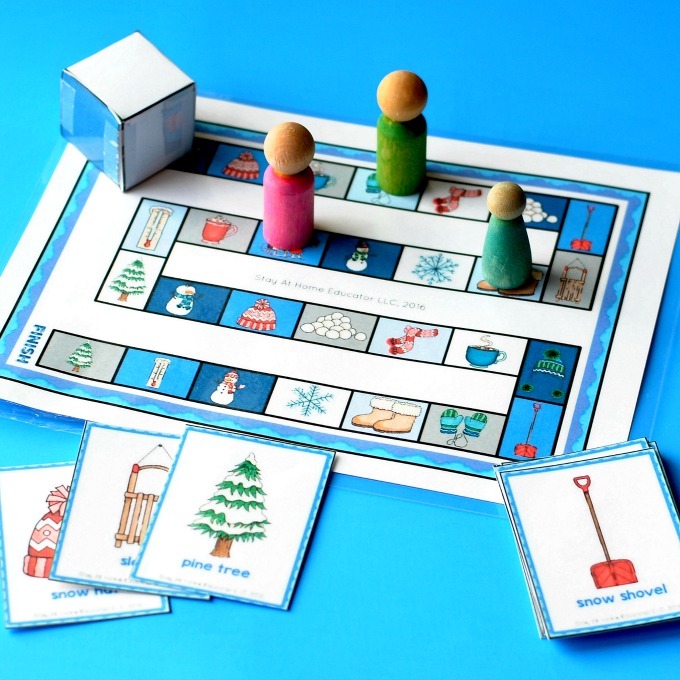 Invite your preschooler to join you in playing some winter counting games. 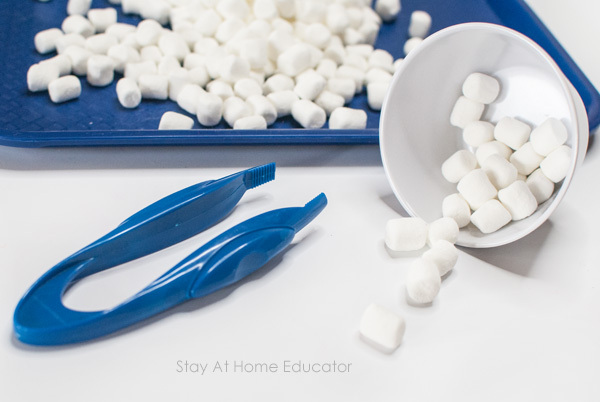 If your preschool does not allow food items for activities, you can easily replace the mini-marshmallows with white pom-poms or even cotton balls. The counting activity is pretty straight-forward. Invite your preschooler to roll the die and count the quantity. 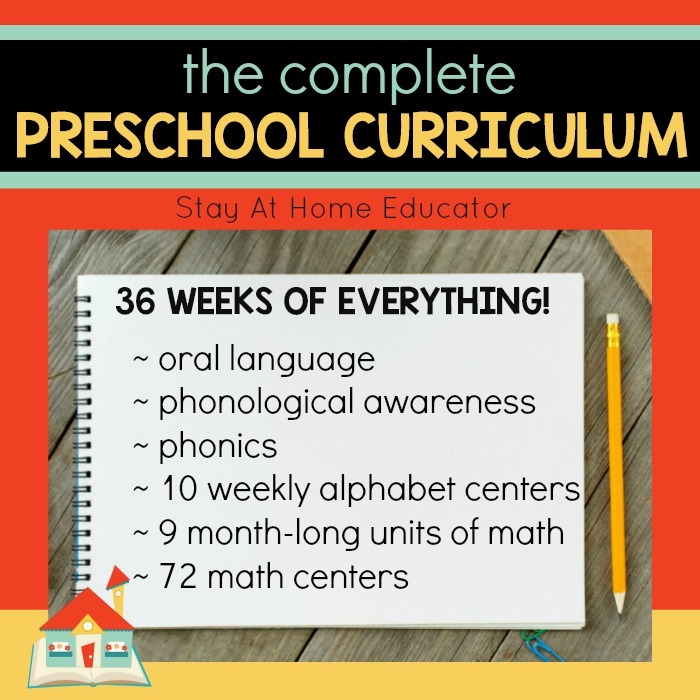 If your preschooler doesn’t need to count, even better! That automatic recognition is called subsidizing and it means your preschooler is a step ahead. If you have younger preschoolers, use a dice that has the numbers 1-3, instead of a regular dice. Alternatively, you can choose to use a dice with number all instead of pips. I like to pick up these foam cubes from the dollar store to make my own dice. 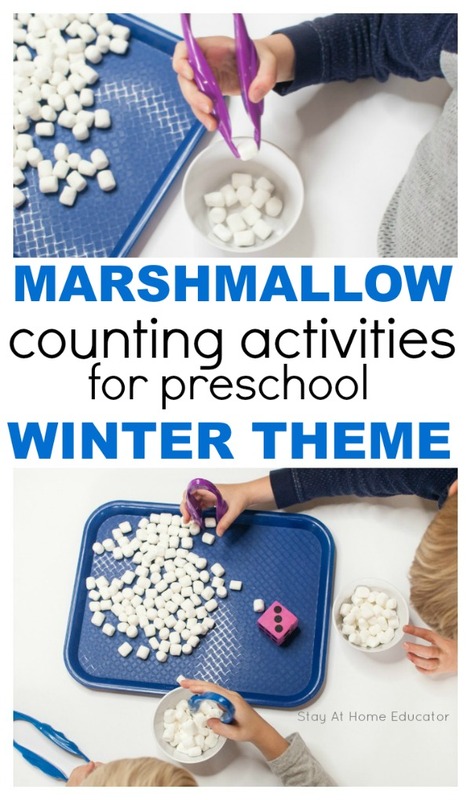 Once the number for counting has been identified, have your preschooler transfer the corresponding number of marshmallow snowballs from one small bowl and into another. (These little melamine bowls are my favorite for activities like this one). The activity ends when all the marshmallow snowballs have been transferred form one small bowl into another. Depending on your preschooler’s skill level, they may prefer mini tongs over tweezers, or they might rather use their hands. 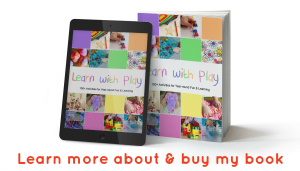 The main idea is to just get in a lot of counting fun in along with whatever kind of fine motor work your preschooler is ready for. 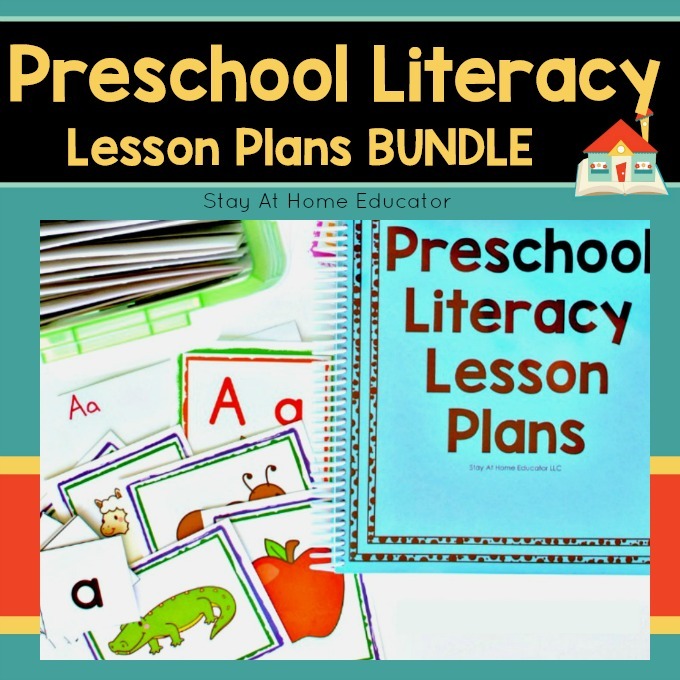 Good lesson planning always includes ideas for a few modifications if you have a range of skills in your preschool classroom. Here are some more winter counting ideas. Use a set of number cards (or something like Uno cards), and practice number identification while counting. 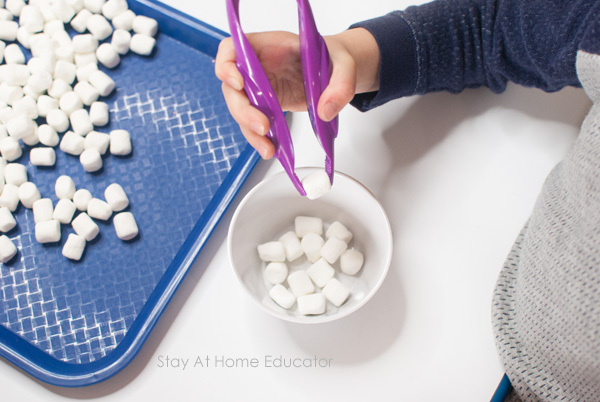 If your preschooler is a little younger and the tongs are too difficult, allow him to use his hands to transfer the marshmallows. This is still fine motor work as it encourages the use of the pincer grasp. For older preschoolers, have the child roll two dice and add the two numbers together. 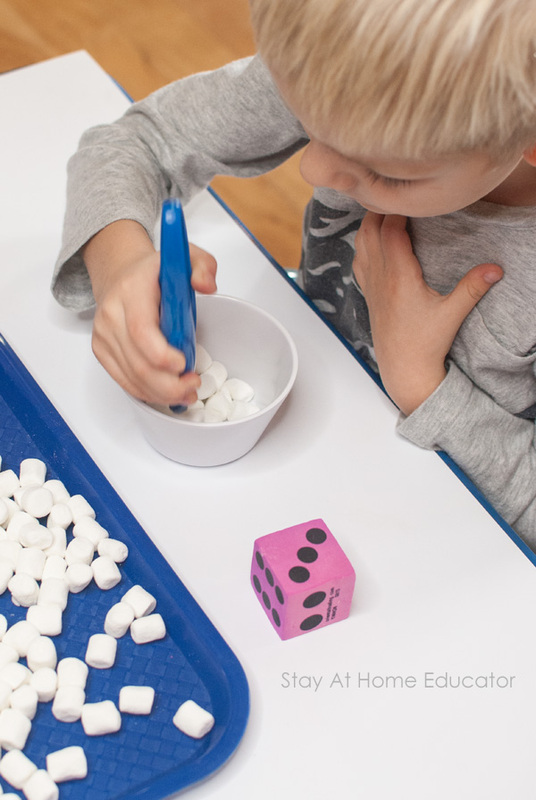 Or, before adding the dice in step three, have the preschooler line up the marshmallows next to each other and compare the quantities first. Go big and use ping pong balls for snowballs. This approach is good for younger toddlers. They might not be ready for the counting piece, but transferring ping pong balls from one bucket to another is good fine motor work. And keep reading for some FREE winter printables for preschoolers and other fun winter theme activities! 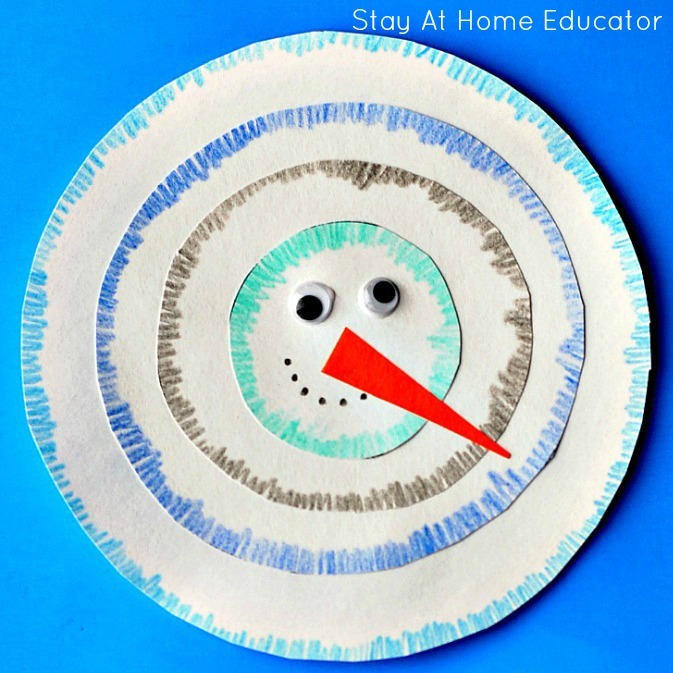 Want Some More Winter Activities for Preschoolers? 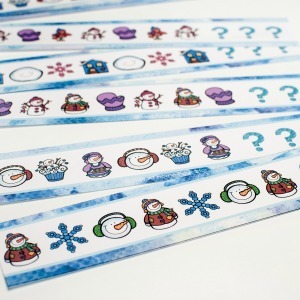 Add some of these amazing activities to your winter theme preschool lesson plans. Just click the images for the full post!